Our team at BBOnline love to hear our Inngoers' feedback on their Bed & Breakfast experiences and how they utilize our website. We recently interviewed one of our Inngoers, Sarah Conaway, a local reviewer and blogging personality. What do you look for in a B&B/Inn Experience? "In selecting a bed and breakfast, I am typically looking for a more personal experience. I expect the proprietors to excel in the field of hospitality and provide education and experience about the area. If an area is saturated with bed and breakfasts known for their accommodating hosts, then an extra amenity or quirky feature of the home would sway my selection. I am partial to a breakfast experience that offers special selections like gluten free pancakes, goat cheese omelettes, and absolutely partial to facilities that provide local fare." When and where do you usually travel to Bed & Breakfasts? Any particular reason? "I typically travel Virginia all year round as a local reviewer/blogging personality." What is your most memorable Bed & Breakfast experience? "My stay at The Funny Farm Inn in Reva, VA was memorable because the stay so far exceeded my expectations in regards to the animals, the property, and absolutely the cottage we stayed in for the price. Amazing." Have you used BBOnline to book any inns? If so, what are three adjectives that you would use to describe BBOnline? "I have used BBOnline to find all the inns I've chosen...The three adjectives I would use are fun, informative, and comfortable." What are the advantages of choosing a Bed & Breakfast over a hotel? 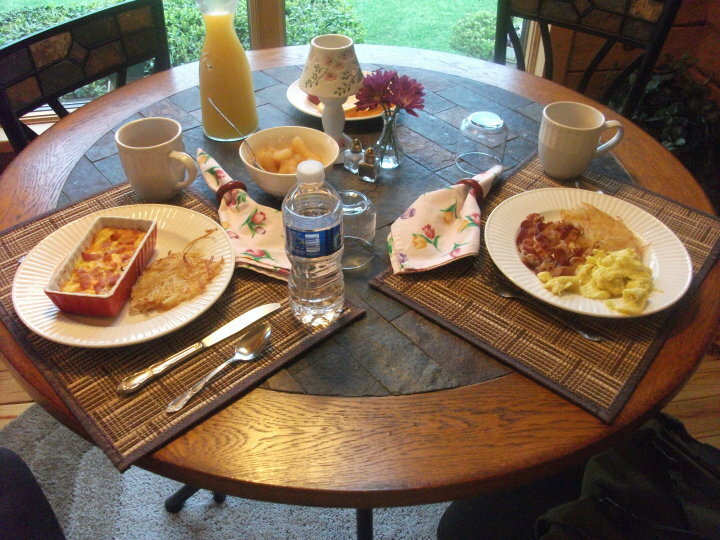 "The personal experience is a huge advantage to choosing a bed and breakfast over a hotel. Building relationships and truly appreciating people and the education available in making a bed and breakfast your home on vacation is the best choice." If you would like the chance to win a free gift from BBOnline, share your BBOnline experience with us by e-mailing us at BBOnline Info!